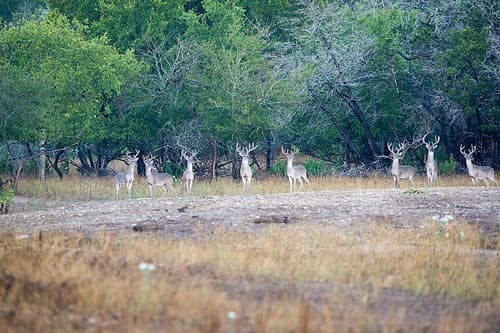 There are several reasons why a pickup truck is the ideal hunting companion for deer season. This applies when the hunter is desirous of taking the whole animal home or to the processing plant. It is especially relevant when multiple animals must be transported quickly and safely. A small coup, hatchback or SUV might get the job done, but not without some extra hassle and inconvenience. So why are trucks tailor-made for bucks? A standard pickup truck, whether it is a small short bed or an extended cab long bed, take the honors in the durability department. Trucks have more ground clearance, providing a safer and more secure ride over rough terrain. Truck tires are generally larger, with more plies and appropriate tread design, the ideal types of tires to enter the backwoods. Trucks have a wider wheel base that provides a stability not found in smaller cars and narrow SUV chassis. Considering their increased horsepower, lower gears and durability, chances are the hunter will be driving into the prime hunting location instead of hiking in. Trucks take first place in the sheer room department. Their long and wide beds provide plenty of hauling space for single or multiple animals. The deer can be laid out instead of cut and sectioned, and there is no need to cram the carcass inside a small truck in an awkward position. Trucks can also handle the weight load without bogging down or losing power. The fold-down gates make on or off-loading a snap, requiring only a few individuals to place the load. Sliding a deer carcass across a truck bed to afford extra room is easy and simplified. It’s entirely possible to load up a truck bed with the entire inventory of a large hunting parting, negating the need for multiple trips with a smaller vehicle.